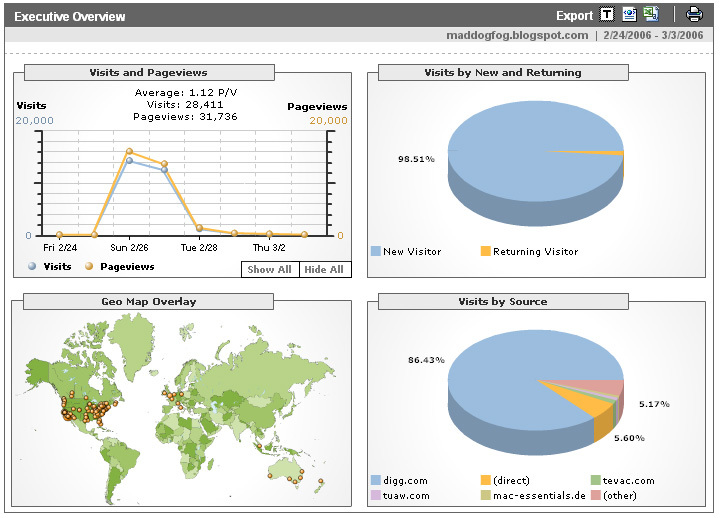 This is what it looks like when a low-traffic blog like mine ends up on the front page of Digg.com. 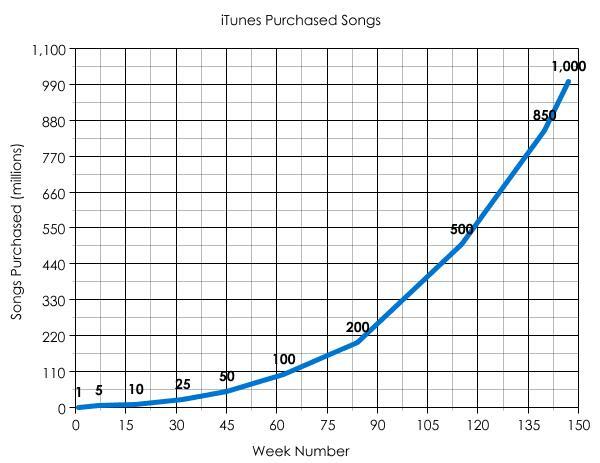 This happened last Sunday evening with the iTunes sales graph. By Wednesday, the traffic was back to the usual numbers. 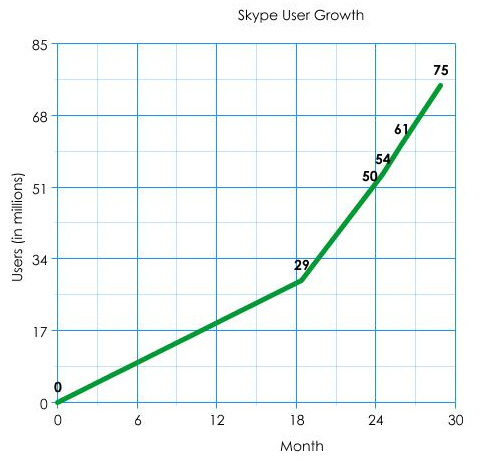 Check out Om Malik’s blog for some interesting analysis on the Skype numbers.